Ease your mind with Sade - No Ordinary Love on apple music store. To Sade’s fanatics, this track is both magical and soothing. The English band released the track from their fourth studio album Love Deluxe (1992) on September 28, 1992, courtesy of Epic Records. "No Ordinary Love" hit number 26 in the United Kingdom but its re-release in June 1993 saw its heights increase to number 14. The music video shows Sade Adu as a mermaid and a bride in alternating scenes. 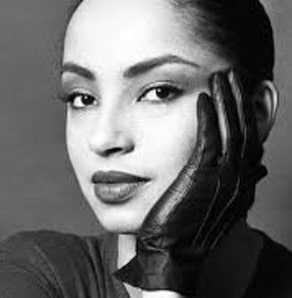 In the United States, "No Ordinary Love" is considered Sade’s signatory song since it has gone from promoting their album to scoring an award including the Grammy Award for Best R&B Performance by a Duo or Group with vocals in 1994. Though it wasn’t included in the indecent proposal’s soundtrack album, it was featured eminently in the film in 1993. It also featured briefly in the soap opera, Days of Our Lives, and appeared in the second episode of 30 Rock, an NBC show. In the American Dad show, the song featured in Stan Goes on the Pill where the character Stan Smith becomes a girl after taking a pill and his boss makes a move on her. Critics and fans have well received the various cover versions of "No Ordinary Love" made over the years. Several artists have covered the track on their album Havana Brown and Walden who released a dance version as a single in 2015,for their 2001 live album, Doin’ it Old School Style, Rare Essence covered "No Ordinary Love". The adult contemporary R&B song has a soothing feeling with a touch longing blended together with a beautiful rhythm. Accompanying the outstanding lyrics is a beautiful voice and an emotional video that leaves you wanting more. Reviews from her fans reveal a sense of admiration and appreciation for the artist as well as a longing for another taste from Sade.